Born at Cornwall, Ontario on 30 November 1846, he came to Manitoba in 1875 in a horse-drawn wagon via the Dawson route. He established a successful general store, and was a charter member of the company that built an electric railway from Winnipeg to Selkirk. He later served on the board of directors of the Southeastern Railroad, which later became the Great Northern. He was also a director of the Land & Investment Company, and he owned land throughout Western Canada and in Winnipeg. On 2 November 1902, he married Jessie Ross McDermot Todd (?-?) of Winnipeg, a granddaughter of Andrew McDermot, at Fargo, North Dakota. They had no children but his wife had a daughter from her former marriage, Marion Annabelle Louise Todd (?-?, wife of Russell McKenzie McLeod). He served on the first council of St. Andrews and was a town councillor in Selkirk for several years. 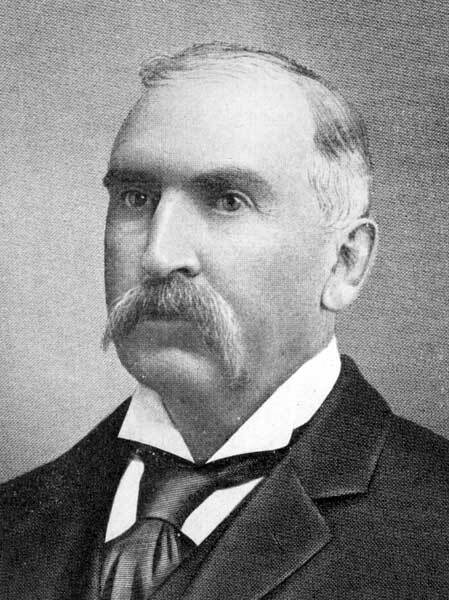 He was a candidate for the St. Clements constituency in the 1878 provincial general election. He died at Selkirk on 3 July 1930 and was buried in the Mapleton Cemetery. Marriage License Index, Cass County, North Dakota. “Robert M. Bullock, pioneer, succumbs,” Manitoba Free Press, 4 July 1930, page 6. We thank Eleanor McMurchy for providing additional information used here.